Funky Polkadot Giraffe: Happy Birthday to Me! I'll just have to celebrate another way! So how about 32% off my shop today in honor of my 32nd birthday. I'm going to try and stay in bed and read THIS. But I'm pretty sure the kids are not going to cooperate. Don't forget to enter my CSN Stores giveaways HERE and HERE. And the darling ZoeLynn & Co. giveaway HERE. Happy Birthday! Hope it is wonderful!!! Happy Birthday Girl! I Hope you enjoy your day. Happy Birthday! Hope you get SOME time to enjoy your book! Happy Birthday--hope it's a great day! Happy Birthday! Hope it was a great day for you! Happy Birthday! Enjoy your evening :) Hope those kiddos cooperate a little! Yes, that cake look delicious!! 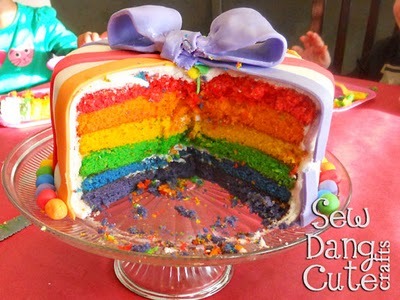 Hopefully your kids will make you a special cake!! Happy Birthday!!! Hope it is a wonderful year! Your cake is absolutely beautiful! Happy (belated) birthday!